My review of the Cobra King Forged TEC Iron with launch monitor data. Purchase an online Golf Lesson with Michael safely using PayPal through his website (scroll down to the bottom of web page)…..
Michael – Thank you for these videos; they are enormously helpful/instructive. 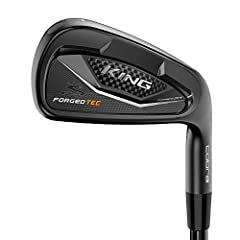 I’m interested in mixing Cobra’s KING Utility Black ONE Length Irons (3 & 4), with KING Forged TEC Black ONE Length Irons (5 & 6), with KING Forged TEC Black STD Length Irons (7-PW), and would love to see a video / hear your thoughts on this combo especially around possible loss of distance on the long ONE LENGTH irons and the gapping across the 6i (ONE LENGTH) to 7i (STD IRON) gap. Thx. You didn’t mention that they are available in both variable length and one length sets. Also available with matching black shafts. Also, are you planning on reviewing Cobra’s black forged CB/MB irons? Do they also come with the cobra connect like the f8? Have had mine for a month now. Have played 15 rounds thus far and the finish still looks new. Keep hearing these are a single digit to low teen handicap club. I play to an 18 and I am hitting theses much more consistently than my old Ping Raptures. Great feel, control and sound from these. Could not ask for more. Only regret is that our season here in Canada is pretty much done. Good strikes. bought F-8+ recently, surprised by distance. Cobra really coming up, I am interested in player’s clubs with different shafts. Really trust your opinions on clubs, do not feel like I am getting sales pitch. thanks. Great review, Michael! 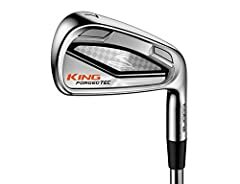 I’d love to hear your thoughts on how these would compare with your Wilson FG Tour V6 irons. Cheers! Picked these up a few months ago because I wanted a heavier feeling iron with more forgiveness with a traditional look. Has a little more offset than I am used to, but the performance is tremendous. I went and tried 6 we’ll know 7 irons and compared them along with this iron. 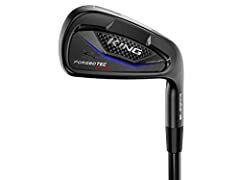 I hit shot after shot but couldn’t find a club I liked better so I ordered my first new set of clubs ever and my 3 d set in 40 years of golf played of 3 many years ago with butter knife blades but can’t wait to try these new ones out. Well worth the try. Just got fitted for the first time. 1/2 inch longer, 1-up, thicker grips. Picked up clubs yesterday and went straight out. PW and 9-iron are much shorter (yardage) than my previous Taylor Made RAC’s, but this is a positive result as I was far too long before (145-150 PW). Spin numbers have definitely improved with this loss of power though, good result! Lets just talk about the 5-iron……..superb! Consistently 200+ yards, and very straight. Great sound and feel but be warned, they are not forgiving for toe-ish shots! I can see my game improving quickly with these provided my short game picks up. 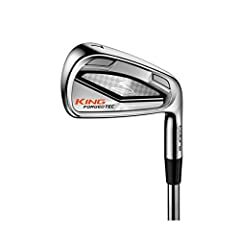 I play off 18 but these are strikers irons. If you hit consistently around the middle of the club then go and try them. I chose these after trying Titleist, Taylor Made, Callaway, Ping and Mizuno. The Mizuno’s were the closest competitor but offered the same numbers with a club more. Big thanks to Hensol Golf Academy for the fitting; great service. Next stop – Driver. I just purchased these clubs (4 – GW) and couldn’t agree more. They feel terrific and perform as expected. Very happy with my purchase. Great review! Which one you prefer between Cobra Forged tec and P790 ?